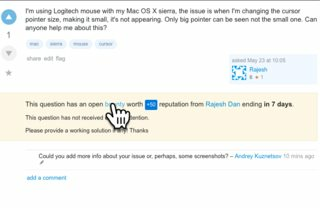 I'm using Logitech mouse with my Mac OS X sierra, the issue is when I'm changing the cursor pointer size, making it small, it's not appearing. Only big pointer can be seen not the small one. Can anyone help me about this? Slide the Cursor size knob towards Normal. 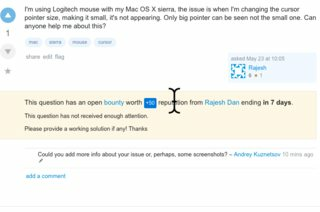 Does your cursor change size while you are sliding it? If so you can make it smaller that way. Also, is it possible you have zoomed in or out on the screen itself? 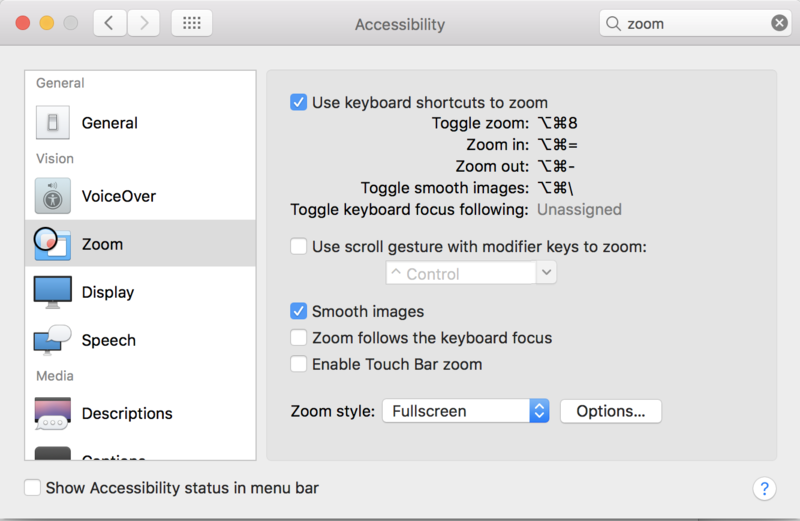 Try turning on Use keyboard shortcuts to zoom, and then use Zoom out to zoom all the way to the normal setting, where you cannot zoom out further. Not the answer you're looking for? 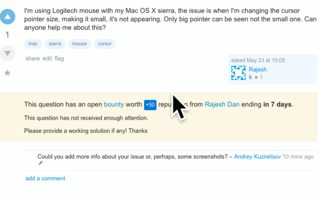 Browse other questions tagged mac sierra mouse cursor . 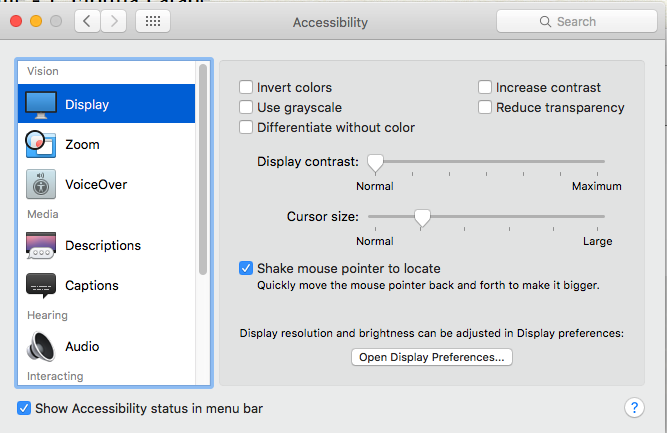 How can I increase the mouse sensitivity of Magic Mouse?